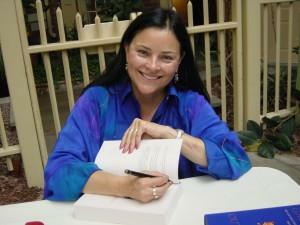 Diana Gabaldon’s bestselling “Outlander” series of novels begins by telling the story of a young nurse during World War 2. She travels back in time to 18th century Scotland. Diana has published eight “Outlander” books, and she says her ninth one, called Go Tell the Bees that I Have Gone, should be released in 2019. The books have been developed into a popular TV show on Starz. Diana talks this hour with Deb Leonard, a member of the board of directors for the Book Industry Charitable Foundation, and a bookseller at Literati Bookstore in Ann Arbor. Their conversation was recorded at the Traverse City Opera House in July 2014. Deb asked Diana if she could describe her books to someone who’s never read them.